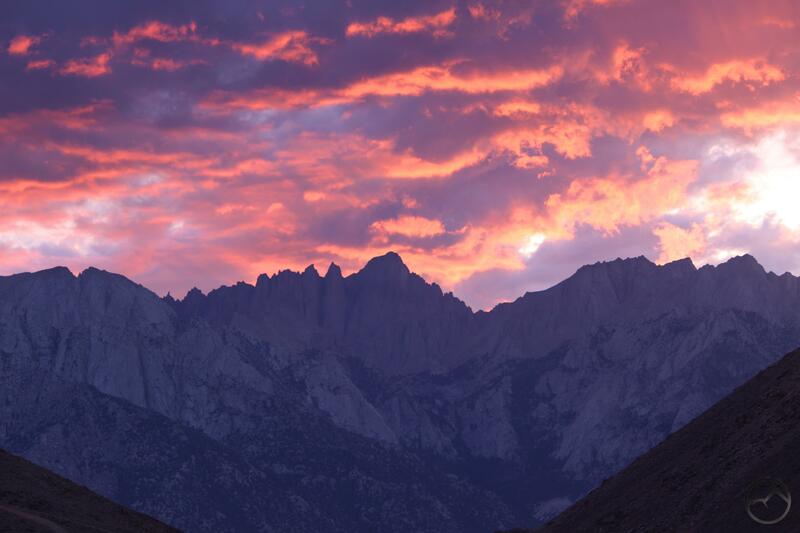 Sunset over Mount Whitney, highpoint of the coterminous United States. One of the books I have really enjoyed reading this summer is Francis Farquhar’s “History of the Sierra Nevada“. In some ways it seems odd to write a history of a mountain range, given that the mountains are simply there and “do” nothing. What the book really focuses on is the history of the peoples that have interacted with these most-loved mountains. It begins with Native Americans, proceeds through the Spanish and eventually comes to Americans. This last is where the true history of the Sierra Nevada begins, since it was Americans that made the first forays into the high country of the Sierra, crossed them, explored them, harnessed them and then preserved them. Whitney and Hoffman not pictured. One of the many excellent chapters is on the California Geologic Survey, which thoroughly explored, mapped, named and documented a significant chunk of the Sierra Nevada. The Survey was created in 1860 and tasked with making an accurate scientific survey of the entire state of California. This they did, though the bulk of their time was spent in the Sierra Nevada, which was the largest unknown region in the state. The head of the survey was Josiah Whitney, who was a graduate of Yale and had participated in several surveys in the eastern U.S. before being named California’s first official state geologist. He assembled a team whose names are now familiar to Sierra Nevada aficionados. It included Richard Brewer, Charles Hoffman, Clarence King, James Gardiner and Richard Cotter. The team had many adventures as they explored and recorded vast swaths of the Golden State. Much of what they traveled was either unexplored or had only been barely visited and knowledge of these places was scant. 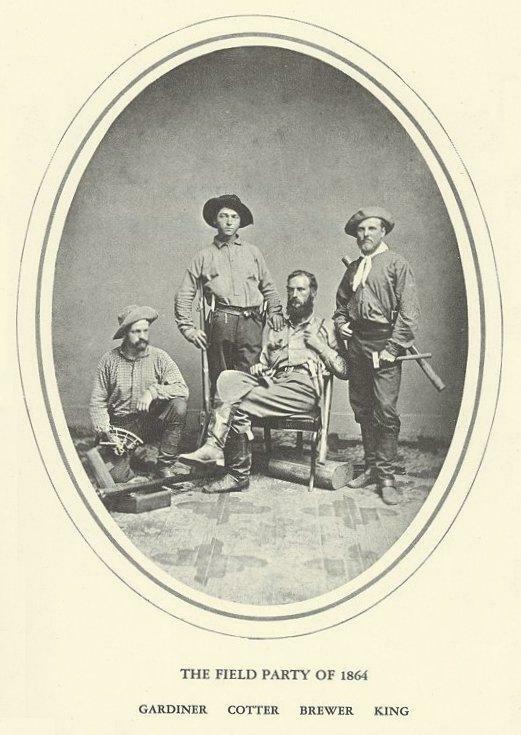 For excellent reading, first-hand accounts of these adventures can be had in the fantastic books “Up and Down California In 1860-1864” by Brewer and “Mountaineering In The Sierra Nevada” by King. This brings us to the relevance of Mount Shasta. The Survey visited Mount Shasta during the course of it’s work and an ascent was made. However, it was in 1870, when Clarence King returned to the mountain at the head of federal Fortieth Parallel Survey that he climbed Shasta as well as visited and identified the massive glacier that flows between Mount Shasta and Shastina. He named the glacier after his mentor Josiah Whitney. This was the first active glacier to be identified in the United States. Subsequent to this, other features on Mount Shasta, all related to the Whitney Glacier, came to bear the name of Josiah Whitney. This includes Whitney Creek and Whitney Falls. “That which looked highest of all was a cleanly cut helmet of granite, lying six miles south. 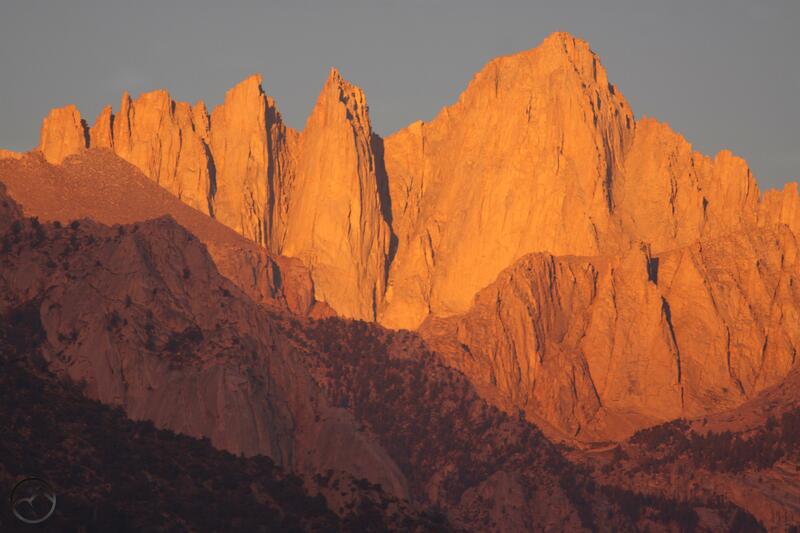 Mount Whitney, as we afterwards called it in honor of our chief, is probably the highest land within the United States. The summit looks glorious but inaccessible“. Thus was the discovery of what was, indeed the highest point in the United States at that time. Denali and several other Alaskan peaks far exceed Mount Whitney in height but at the time that King discovered Whitney, those peaks were still a part of the Russian Empire. It was a momentous discovery and one that would eventually lead to thousands of hikers defying King’s assessment of its accessibility and persevering through the hard climb up to the summit in order to stand atop California and the lower 48’s highest point. As I continue to read, I am frequently and pleasantly surprised by the connections that exist between Mount Shasta and the Sierra Nevada. I have written about some of the links that bind Mount Shasta to Yosemite in the past but the more I read, the more I see how they are interconnected. It may not be through geology, for the Cascade Range and the Sierra Nevada are quite distinct. Yet, in the hearts of people, these two monumental landmarks are connected in the similar esteem with which they are beheld. Many other connections exist, some immortalized by names like that of Brewer and other linked by the experiences that were had in both regions, like those of Norman Clyde. In the end, like in Farquhar’s book, it is not the mountains themselves that are connected, but through the interactions and admiration of the people who look awestruck upward toward their mighty heights.